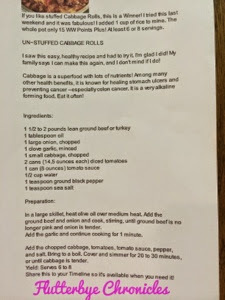 I found this recipe on Facebook for un-stuffed cabbage rolls. 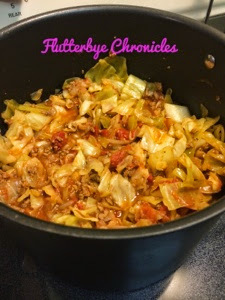 I love cabbage rolls so I figured it was worth a shot. 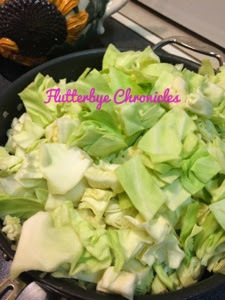 I started by chopping the cabbage and onions and getting all my ingredients in one place! 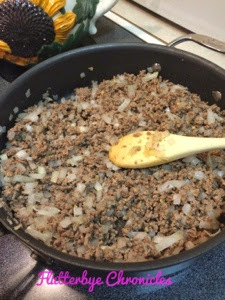 Browned my beef and cooked down the onions then added in the garlic. I did not make this all in the skillet because I just don't see how that would work. Next time I think I will make it all in a big pot like this. 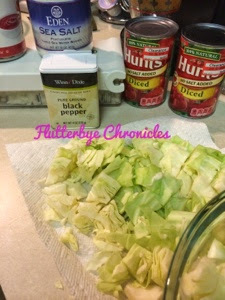 I went ahead and put all the canned tomatoes, salt & pepper in the pot and put it on medium low while the meat was finishing up. 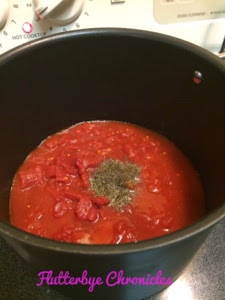 Then I added the meat to the tomato mixture. 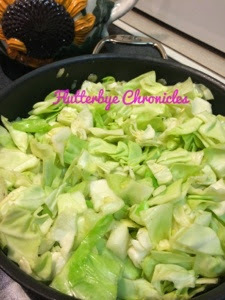 I then added the cabbage to the already hot skillet so it could wilt a little. 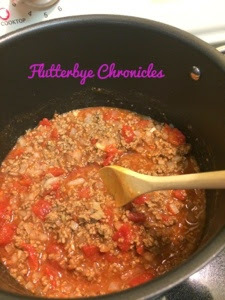 Added it all in to the pot and let it come to a boil then covered it and turned it down to a simmer and cooked it for 30 minutes. 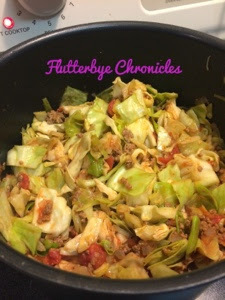 It may not be pretty but it was super yummy and my son even liked it. 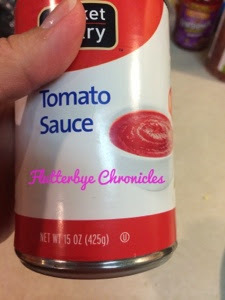 I made this recently and it was delicious! I made mine in the crock pot though.